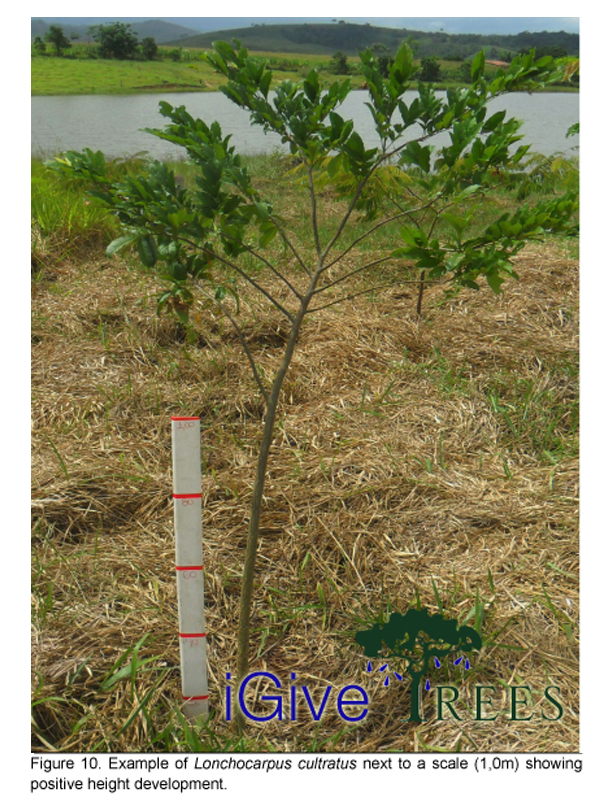 iGive TREES | We give native species trees to regenerate a degraded rainforest. A new dimension of the work has been added to the Rainforest ECO offerings: Forestscaping. 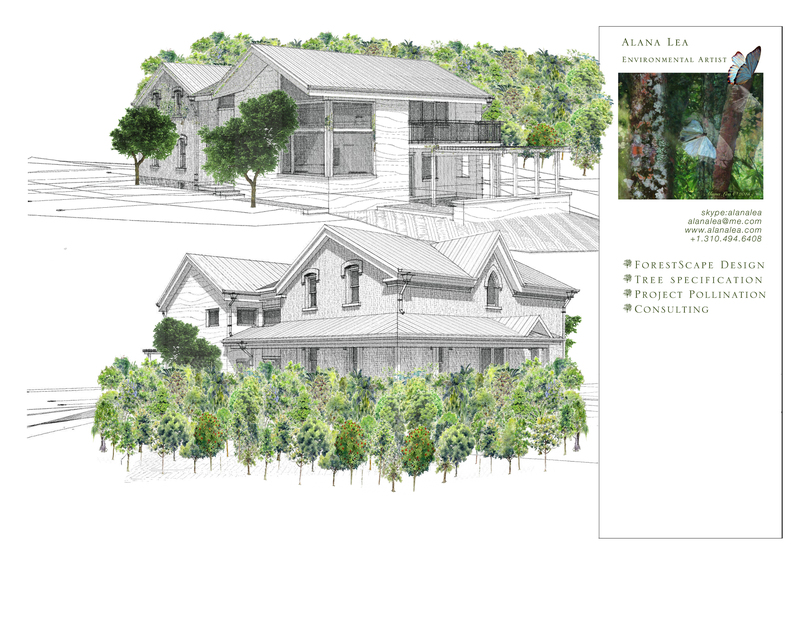 Working with the Miyawaki Method of afforestation, in collaboration with Shubhendu Sharma, we now offer consulting and forestscape design for urban areas. And thanks to OpenTeam, I was able to participate in COP23 in Bonn, where I became the producer of a side-event for Project Drawdown. Beyond that, in the interest of bringing this post up to date, French President Emmanuel Macron has been in the United States for the last few days, offering the symbolic planting of a tree on the White House grounds, and giving a rousing talk to the US Congress. 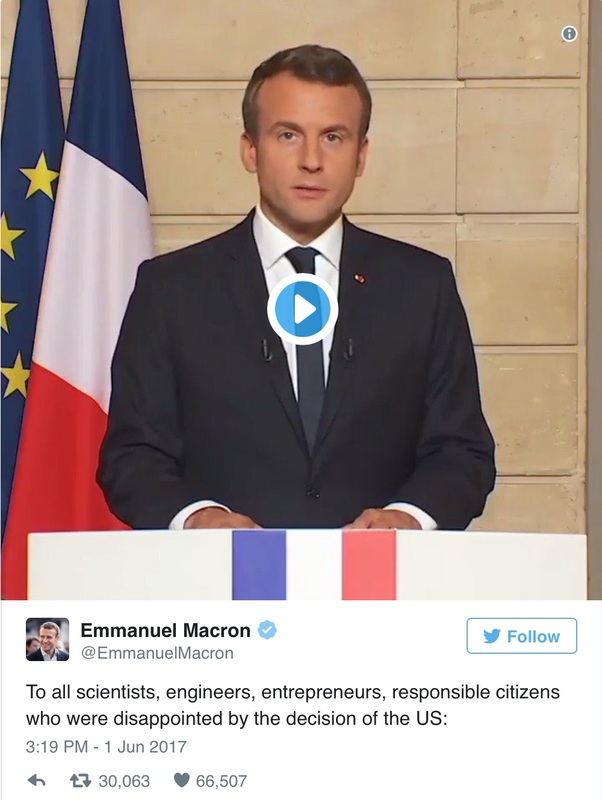 2017: You’ve probably seen this clip by now, and heard these words, spoken within hours after the US withdrew from the Paris Climate Agreement by Emmanuel Macron, President of France. And while this was going on, so was the preparation of a letter of invitation by my colleagues in Paris, who are asking me to come there to work with them as soon as possible. Continuing the momentum of COP 21, “100 projects for climate” aims to speed up the emergence of citizen-led initiatives to combat global warming. This new participative step, building on the valuable discussions of the Paris-Climate Conference, will enable the 100 most innovative solutions from around the world to become a reality. So what are we waiting for? Let’s do this. You will note, that Van Jones “liked” the link above when I shared it on Facebook 🙂 so I hope you’ll like what it represents here! Ever since we were invited to participate in 100 Projects for the Climate by Mission Publique, I could feel the direction of the wind had changed. It was now at our backs, rather than blustering at gale force in front of us. It’s a lot easier to move forward now. We placed as #64 out of 100 projects, and then participated in a survey of needs to assess what’s needed to increase capacity. If you’re interested in the results of the survey, just click here or on the image to be directed to a fascinating collection of statistics, pie charts and word clouds! I learned that as a North and South American female over 50, I am most definitely in the minority among the contestants. It appears that we all need two of the same things: funding and visibility. So a series of webinars is being offered during the month of October, through the French Ministry, to help us to develop and share our resources. And those of us who are able to raise funds to participate in COP22 will meet in Marrakesh this November. I’m nearly there, so if you’d like to help sponsor my full on participation, please feel free to make a NON tax-deductible donation right here, or to mail a check to our fiscal sponsor, the EarthWays Foundation before the end of September. When you contribute by clicking on the photos or orange banners on the right column, you receive downloads of music from recording artists who support this campaign! Since our beginning, the project has attracted a range of supporting recording artists: Rickie Byars Beckwith (founder of the Agape International Choir), Faith Rivera (Emmy-winning Singer, Songwriter), Daniel Nahmod (Humanity Music Co.) and Nimo (Empty Hands Music) are among them. Today we’re so pleased to share the news of 500 more trees that have been planted in the Atlantic Rainforest due to our fundraising efforts! These trees were planted at SINAL the inspiring environmental education center I first visited after Rio+20 in 2012. A group of undergraduates from Harvard were part of the learning journey. As part of a generous donation made to SINAL thanks to the iGiveTrees Campaign, we were able to plant 500 trees in some of the most degraded lands of our property. This planting was particular special because we were able to obtain saplings from two highly threatened tree species that are nearly extinct – Jussara and Jacaranda Caviuna. Jussara trees have little blue berries, similar to the acai berry, that are edible; however, the tree has been brutely cut down for years for its palm heart, that while delicious, is deadly to the tree. In fact, the tree has become so endangered that it is actually a federal crime to cut down a tree and can land one in jail. Yet somehow, it continues to happen. The process of planting these trees was quite special as well because of several reasons. Firstly, in our search for the 500 saplings, we took several journeys to different nurseries in the area. Specifically, we discovered that the state water treatment company has reforestation projects throughout the area where they produce saplings. They understand that the forested hills of the Mata Atlantica are what allows the entire city of Rio de Janeiro to have fresh water – therefore, restoring the degraded lands is absolutely essential to them. We visited two different nurseries, each with a different variety of species. 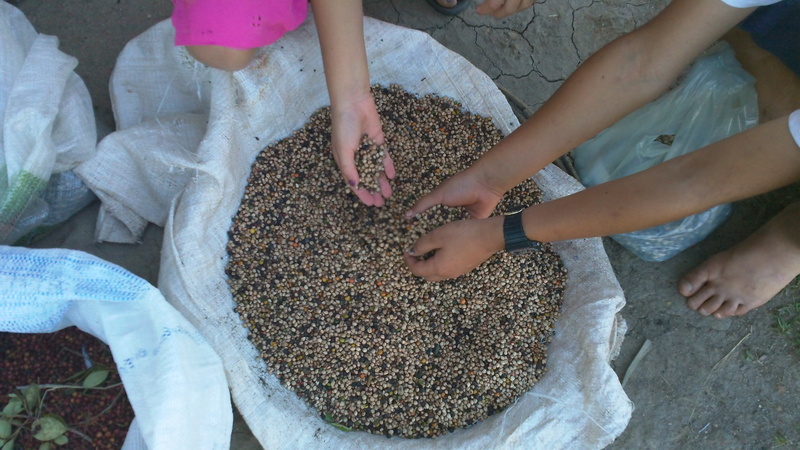 Therefore, we were able to maximize the biodiversity of the 500 trees we planted. Secondly, throughout the process of the tree planting, we were able to include many diverse groups of people to planting. From local community members in the town of Santo Antonio, to international volunteers, to a group of undergraduate Harvard students who came for a learning journey at SINAL, many hands and hearts were part of the planting. It was very touching to see how inspired people were to be able to be part of the planting – there is something very special about getting to plant a tree in the Mata Atlantica. We are very, very grateful for the donation and are honored to have been able to be part of it. Great work team SINAL, we’re looking forward to planting more with you! And I’ll share more about SINAL’s upcoming events in a future post, but wanted to share this fresh news with iGiveTrees supporters right away! ANALYSIS: The world’s biggest conservation groups have embraced a human-centric approach known as “new conservation.” But is it up to the task of saving life on Earth? Read Part 1 of Conservation, Divided: Mongabay’s four-part series investigating how the field of conservation has changed over the last 30 years. Source article: Has big conservation gone astray? One of the things you discover as an environmental journalist is just how quickly scientists and conservationists are happy to bash — off the record, of course — big conservation groups. These include four of the world’s largest wildlife and wild-lands-focused groups with a global footprint: WWF, Conservation International (CI), the Nature Conservancy (TNC), and at times, though to a much lesser extent, the Wildlife Conservation Society (WCS). Together these four groups employ over ten thousand people in nearly a hundred countries and have a collective annual income of around $2 billion. In many parts of the world, if not most, one of these four groups is likely to be seen as the public face of conservation efforts. Over the years former employees have regularly dished the dirt to me about missed opportunities, misplaced values, and projects that seemed to fail as often as they succeeded, while current employees often sounded like public relations officials speaking in staccato. Outside conservationists often complained that the big NGOs took credit for their hard work and bungled local relationships. The same concerns would come up repeatedly: an obsession with the organization’s brand at the expense of success, a corporate-mimicked hierarchy, cushy relationships with some of the world’s biggest environmentally destructive corporations, radio silence on so many environmental issues, and an inability to respond to crises that are appearing with ever-more regularity. It could be Zika. Or… it could be any one or many of the more than a dozen highly toxic and controversial pesticides–most of which are banned around the world, but not in Brazil. It could be Zika, or it could be Paraquat, or it could be Furadan, or any number of other poisons contaminating the soil, the water, the food and the air.